Cod fishing holds a certain magic for many sea anglers, and all the signs are in place that this year is going to be one of the best Cod seasons we have had for a very long time. ALthough this article is written around Chesil beach marks, the techniques can be applied for any mark in the country. I put the potentially great upcoming Cod season down to the fact that we have had a couple of consecutive winters, where the sea temperatures have dropped below the average temperatures that we have seen over the past 10 years. This has allowed a far higher rate of spawn to hatch. Early in the year we heard a lot of reports from the Bristol Channel that the number of small codling was in almost plague like proportions. 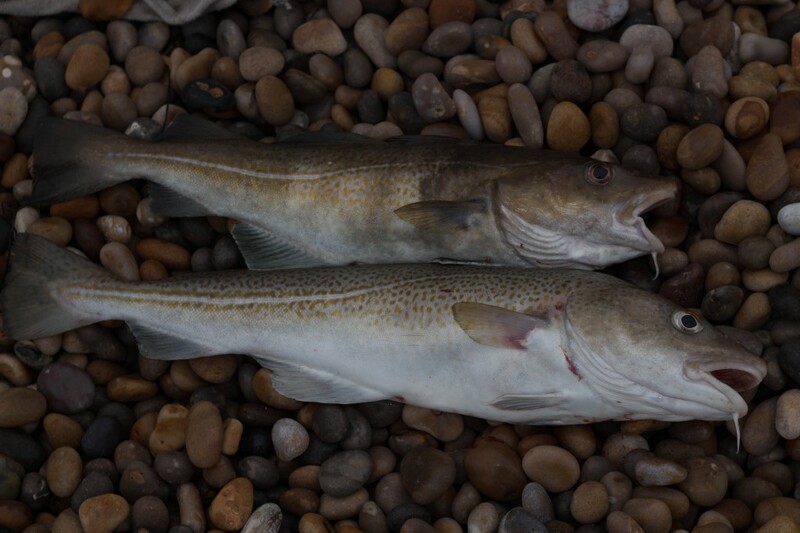 It would seem these fast growing Codling have put on quite a bit of weight and are now around the 1-2lb. range. I have been pretty lucky over the past couple of weeks, as I have been in the enviable position of being able to fish for Cod when the conditions have been just right. I have shared the sessions with you through the website and even from the beach through Facebook. Over the past couple of weeks I have been asked a lot of questions about exactly where, when and how I have caught the fish. I will tell you right now I am not going to give away exact locations, if you want those then book me for a guiding session. I am however happy to give general marks, and to be honest if the beach fishes as I think it will this year then general marks will be good enough. It is only when the fish are harder to locate and not so prolific, that you need to be on specific marks. As to the when and how, I have re-written the article below that I wrote last year, adding a few more tips and amending the more favoured baits this season so far. If I was going to be hitting the beach next weekend, I would be thinking about three things: How, where and when, the motto of Fishing Tails. Lets break it down and look at each part individually. How: For Cod fishing, bait is one of the most important considerations. Cod love big smelly baits, the bigger the better. Unfortunately the bigger the bait the harder it is to cast out any distance (this is relevant to the where). Cod seem to prefer a larger number of baits than any other species I fish for. 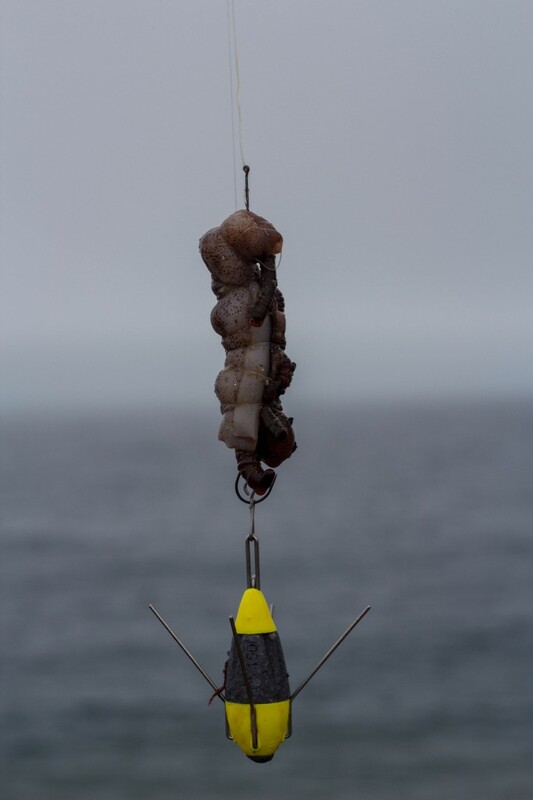 It would be hard for me to priorities the top baits, but if I was pushed I guess it would go like this: Fresh lugworm (blow and black), Live Peeler Crab, live bait (Pout or Whiting), Live Hermit Crab. These would be closely followed by Scollop frills and Squid. Mackerel is also a good bait, but it does attract lots of Dogfish. Finally I would add frozen Black Lugworm. I have never been a fan of frozen worm or crab, but lack of fresh worm this year, has forced me to revisit frozen Lugworm. I have to admit that even though I dislike it, I have caught on it already this week, however I am convinced that if I had live lugworm I would have done much better. I will do an experiment over the next month to see if I am right or wrong. Looking at the list it is pretty obvious that the rigs you are going to need are going to be a bit heavier than the rigs you would have used in the summer to target bream, Plaice and Gurnard. With the exception of my live baits, I prefer to use at least 4/0 Pennel rigs. Depending on the strength of the tide will then depend on the length of the trace. The stronger the tide the shorter the trace. I met up with my friend and fellow guide Paul Black on Saturday, when the tide was nearing the peak of the springs. He had been fishing for a few hours with a combination of baits including Peeler, Sandeel, Lug and Hermit. He had been using a Pulley Pennel rig that gave the rig body a long flowing trace of over 3 ft in length. Most of his baits came back untouched. He then opted to shorten his rig and go for a simple clipped down Pennel rig, that when released was only 12 inches long. This had the effect of keeping the bait closer to the sea bed. Almost instantly he landed the first Cod of the afternoon to Peeler Crab. This was quickly followed by another. Unfortunately for Paul, this was almost the last of his Peeler Crab.He had a half a crab left that he used, only to miss an almost instant bite. Not to be deterred he loaded up his next cast with the last of his frozen Hermit and had his 3rd Cod of the afternoon. Having now run out of bait, he was a bit disappointed that he had not switched to a shorter rig earlier. My mate Leo turned up later, with his twin daughters, who were more interested in catching mackerel and Garfish than Cod. They spent the remainder of the afternoon catching fish, whilst Leo concentrated on getting a Cod. Leo had not managed to get hold of any Peeler, but he had dug a couple of pound of fresh blow lug.He combined this with a whole small Calamari Squid, to create an irresistible cocktail. 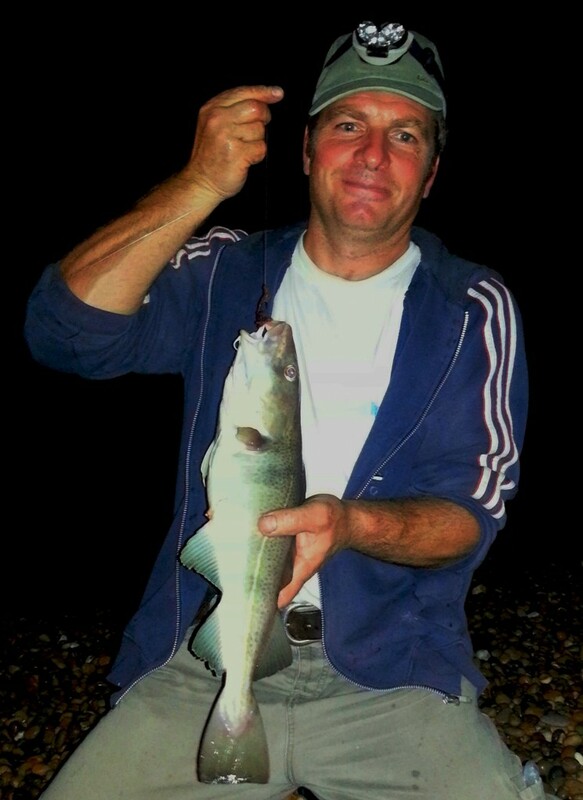 It did prove to be an irresistible bait as Leo managed to land his target earl season Codling. 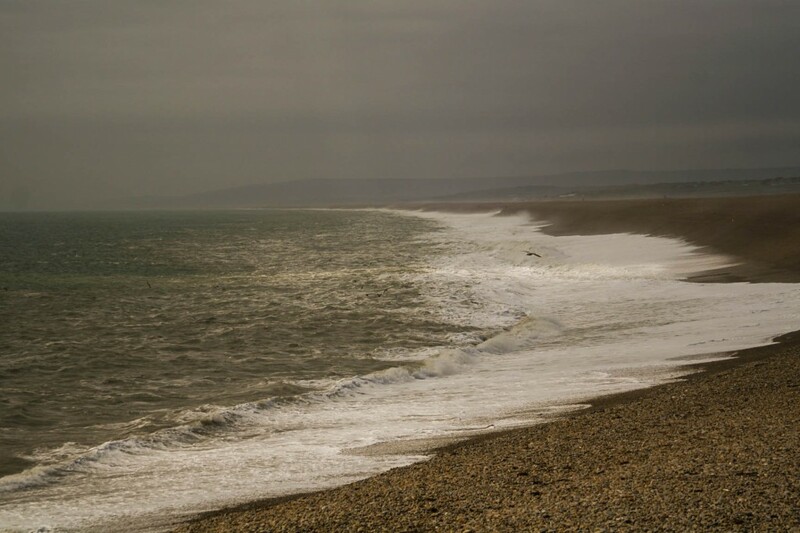 Where: Looking specifically at Chesil Beach, there are a number of marks that fish consistently better than others. The deeper water between the Bridging Camp at the Weymouth end of the beach, and Dragons Teeth to the right of Abbotsbury beach car park, always seem to produce more fish. The fish normally show there earlier and hang around later than the rest of the beach. The down side is you either have a long walk, or you need a boat to cross the Fleet. The main crossing points for boats are Bridging Camp, Moonfleet and Langton Herring. The locals are very protective of these marks. Boats that have been secured to the bank often mysteriously disappear. I would also add a note of caution. Crossing the Fleet can be like crossing a fast flowing river at times. Unfortunately several anglers have lost their lives trying to cross in the past. There are other marks outside of those already mentioned, but these can often be very specific and being as much as 50yds of them can often have the same effect as being 50 miles away. If you do find a mark the produces for you on one occasion, make sure you pin point it well for a return journey, as they often produce time and time again. These marks can be found from Chesil Cove to Ferrybridge. Similar marks are to be found at Abbotsbury, West Bexington and Cogden. Being able to launch a bait to the horizon can have it’s benefits, and I would say that the longer casters do often catch more fish. Don’t let that put you off too much, if you can get a decent sized bait out 60 or 70yds then you are in with a good chance. When: Cod are traditionally a winter fish. 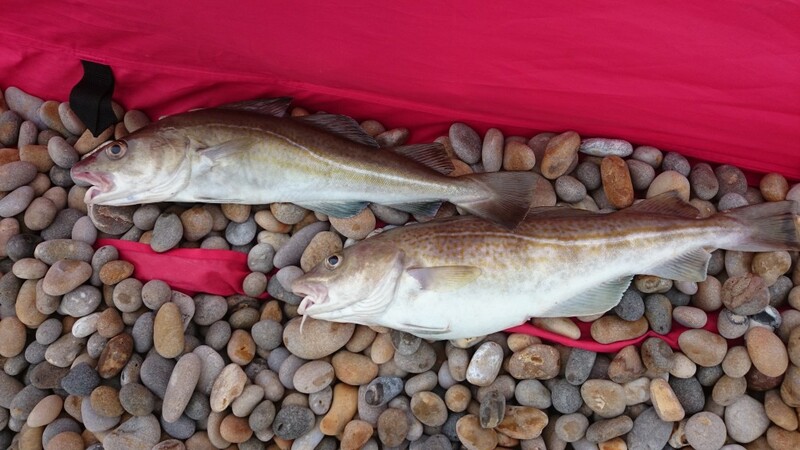 The odd summer specimen turns up on the beach, but October normally heralds the first run of Codling on Chesil. The fish often appear in year classes, if you catch one 3lb or 7lb fish, you are likely to catch a few more around the same weight in that session. The larger Cod are much more solitary, mainly because there class mates have been wiped out over the years. Each year Chesil throws up a 20lb plus fish to lucky angler who happens to be in the right place at the right time. I often hear anglers say that over the top of high water, or on a spring tide is the best time to catch Cod. Well on Chesil that is not strictly true. 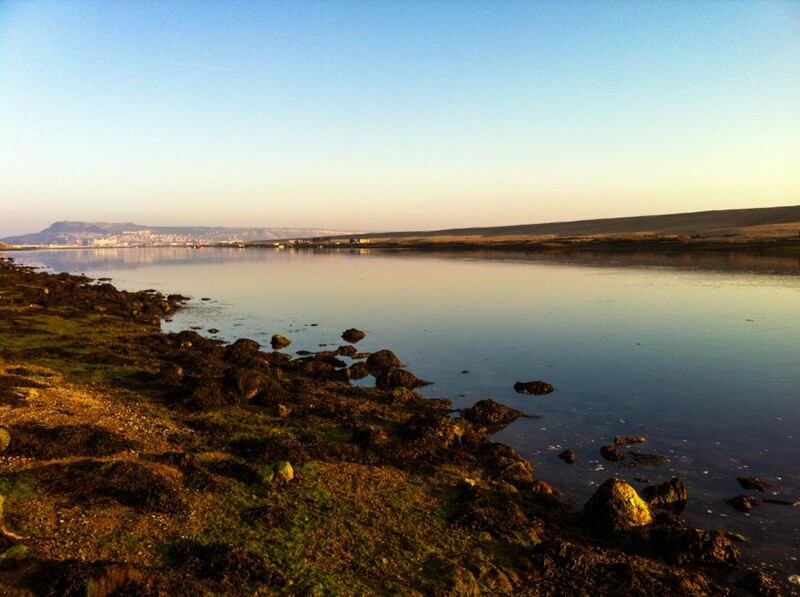 The spring tides often make it hard to keep the baits out at distance. 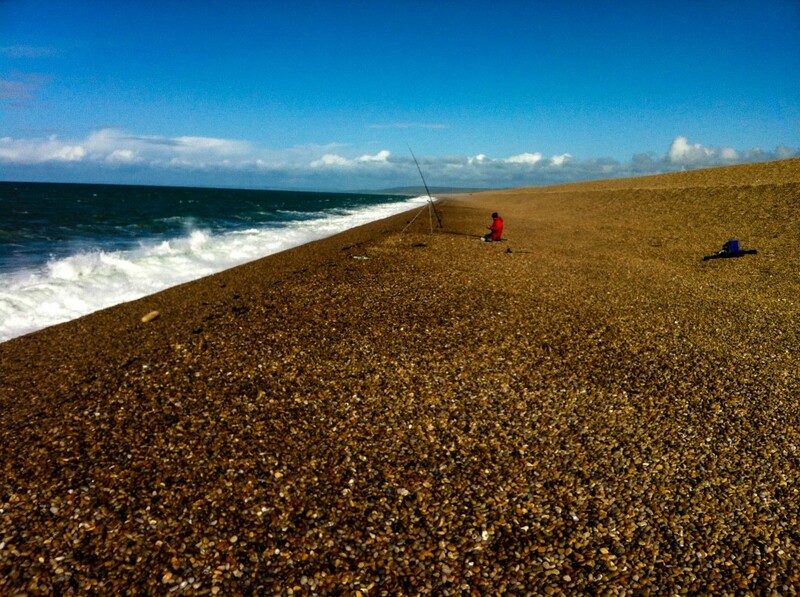 It is easier if you have the luxury of being able to walk up tide for 50yds and let a bow of line out as you come back to your rod rest, but this is often impossible when the beach is packed with other anglers. A few days either side of a spring tide are normally better. I have noticed that different marks fish better at different states of the tide. The Ferrybridge end towards Portland seems to fish best from 3 hours into the flood, until 2 hours after high water. Abbotsbury on the other hand fishes well over low water. Without a doubt the best time for Cod fishing is after a good south westerly blow. As the wind dies down, you will have the opportunity to cast into the coloured and churned up water that contains lots of disturbed food, that will have brought in Cod in from miles around. 9 Responses to "Cod Fishing"
Well done Shaun. Those fresh worms make all the difference. 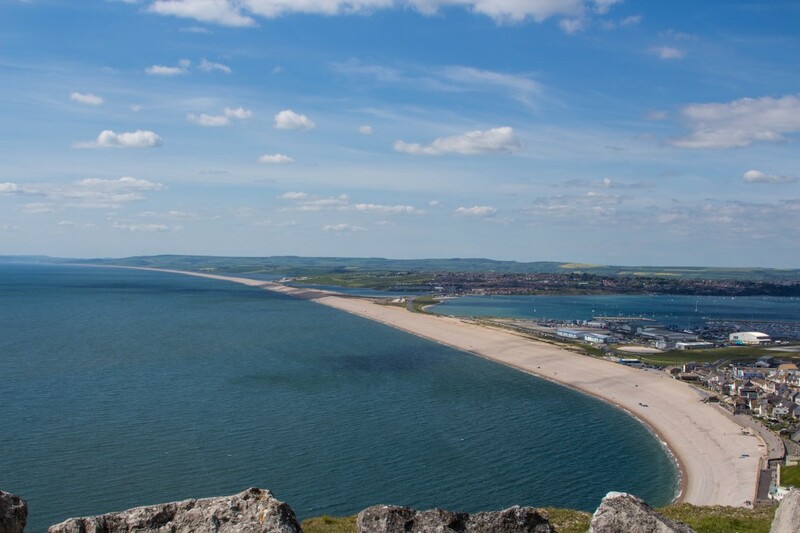 The wife and I are staying in southwell over the Christmas and are hoping to spend a bit of time fishing on chesil beech. Can anyone guide us to the easiest place to fish please? 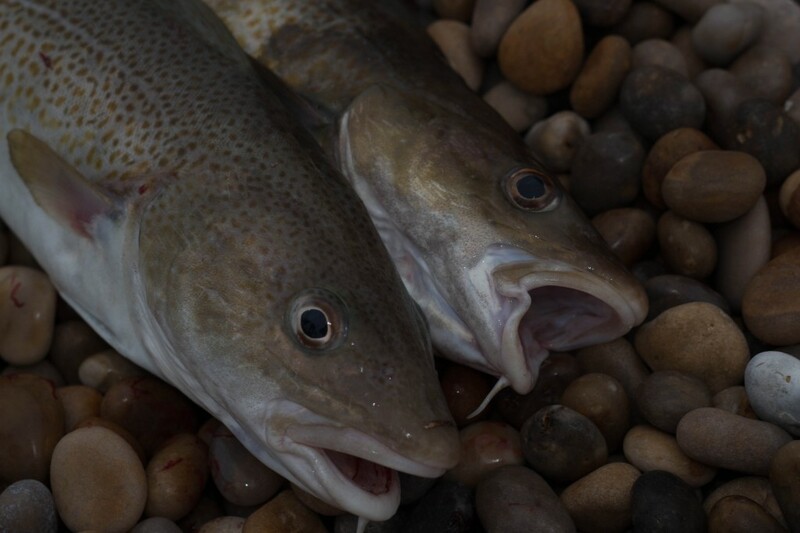 Hi everyone, I never caught a cod in my life as I just moved from London to Dorset (so I am a beginner) I am going around Poole area on Saturday with my son, what is the best weather condition for cod? Also can u catch them with lures? Or should I invest more in crab, lugworm and squid? Are there still seabass around? Has anyone got a fishing report from this area or heard anything about it? Thank you for ur help and I started reading this website today and jo absolutely love it! There will be a lot more reports coming from the Poole area in the future, as we have a new member joining the Fishing Tails team very soon. It is not impossible to catch Cod on lures from this country,I have done it in the past in Scotland, you just need the right conditions and location. This is one of the best months for Bass.